The famous Wensleydale cheese laced with fruity cranberries. 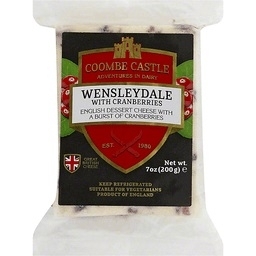 Lovingly handcrafted in the heart of Yorkshire, Wensleydale cheese has always made a great companion to fruit and berries, so now they've stuffed it full of them! Try crumbling this cheese over a salad for a lively touch.